3D Energy Drinks (formally known as Up-Energy) are endorsed by no other than the YouTube phenomenon Christian Guzman! Its a great low-calorie alternative to the usual convenience store energy drinks that are laced with ridiculous amounts of sugar and packed with calories. With only 15 calories per pack, 3D Energy will surely provide the energy you need to keep you going throughout the day! Ingredients such as Caffeine and Panax Ginseng provide a stimulatory effect thus improving cognitive function and increasing focus & concentration as well as the added Taurine that improves blood flow and optimal cellular hydration. Undergoing several blind-tests to optimise the flavours, you'd be sure that you won't be disappointed with the flavours of 3D Energy! 3D Energy is the brainchild of fitness celebrity Christian Guzman, who is an American amateur bodybuilder, YouTube vlogger, and fitness entrepreneur. Christian shares his knowledge on training, diet and life with his 1 million Instagram followers and 877,102 Youtube subscribers. * Percent Daily Value are based on a 2000 calorie det. 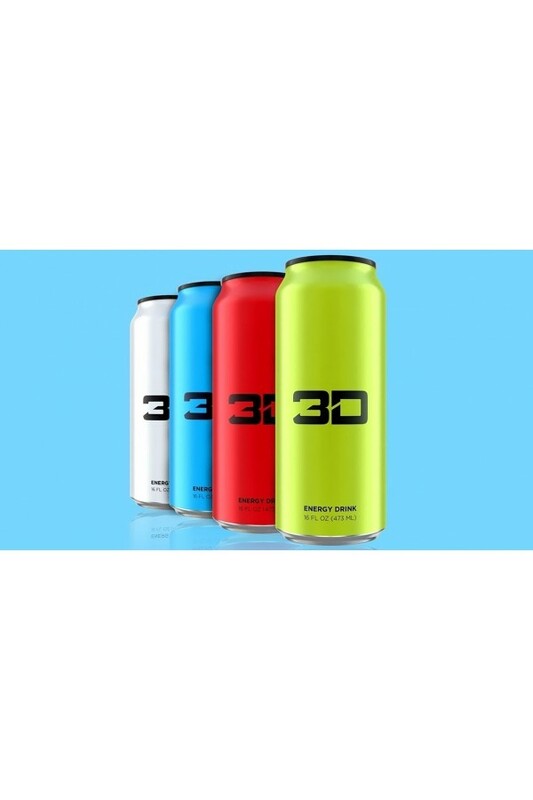 3D Energy Drink can be enjoyed as you please.